aaronmbrown503 – Page 2 – No More Freeway Expansions. 1: We made a helluva video. Thanks to our pals at Cupola Media for their assistance. Our video has received over 15,000 views on all platforms since we debuted it in August. 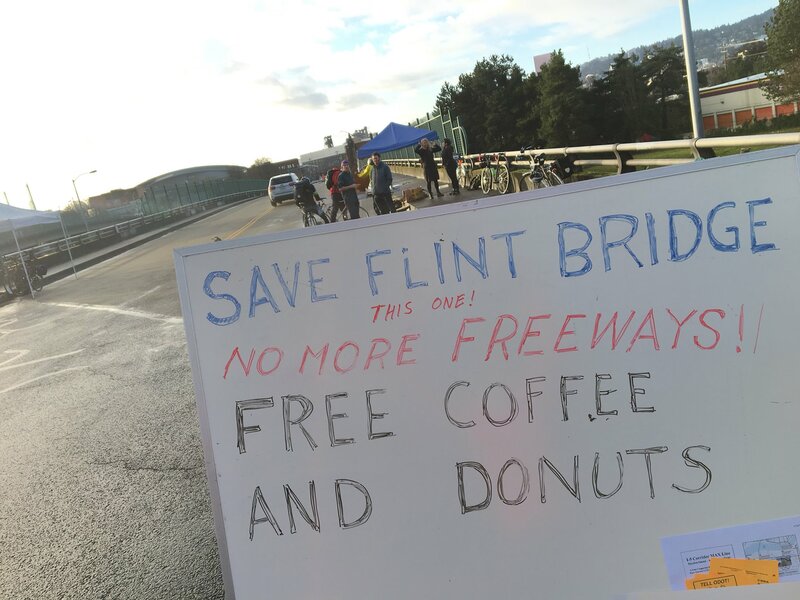 This January, we collected over one hundred signatures by holding a “Breakfast on the Bridge” style event on the Flint Avenue Bridge next to Harriet Tubman Middle School. We spoke to many folks who had no idea that ODOT was planning on removing the Flint Avenue Bridge as part of the freeway expansion. Our rally got press coverage on KATU, KGW, KPTV, KOIN the Mark Mason Show on KEX, XRAY.fm, KXL, and BikePortland.org. We’re hoping to do another iteration of this event in February (hopefully with the same sunny skies). Stay tuned! We closely followed ODOT’s “Value Pricing Committee” and submitted testimony that hundreds of you co-signed. Decongestion pricing is the only public policy ever proven to eliminate traffic congestion, and it’s a crucial tool for policymakers working to build a prosperous Portland metro region in which the majority of families don’t need an automobile for every single trip to work, to school, to shop. 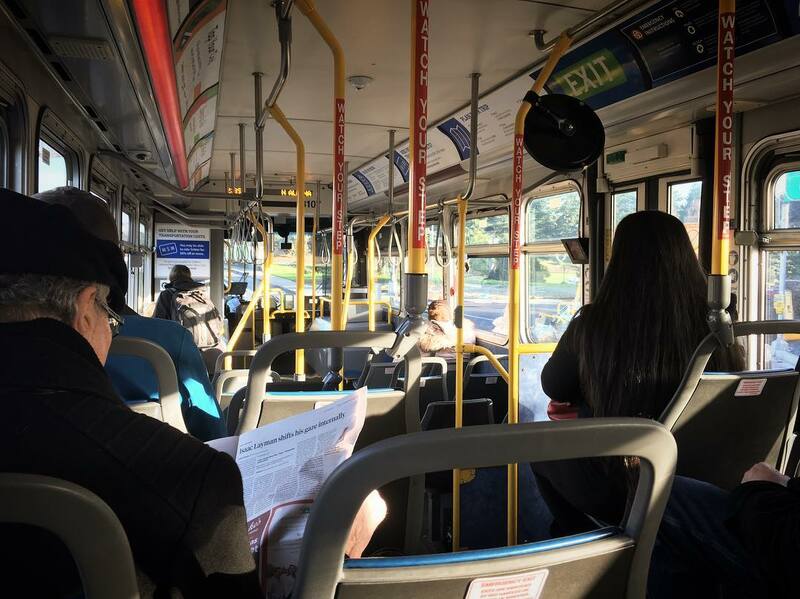 Our letters to the Oregon Transportation Commission and the City of Portland stated that revenue from pricing must be used to fund transit improvements over freeway expansion, as well as a list of other ways to ensure that road pricing is implemented equitably. In July, Willamette Week published our letter explaining how decongestion pricing can work in concert with equity goals. Willamette Week also covered the impacts that the freeway expansion are expected to have on the air quality at Harriet Tubman Middle School, and The Portland Mercury wrote a story about how ODOT’s own consultants admit that this project will have a negligible impact on traffic congestion. 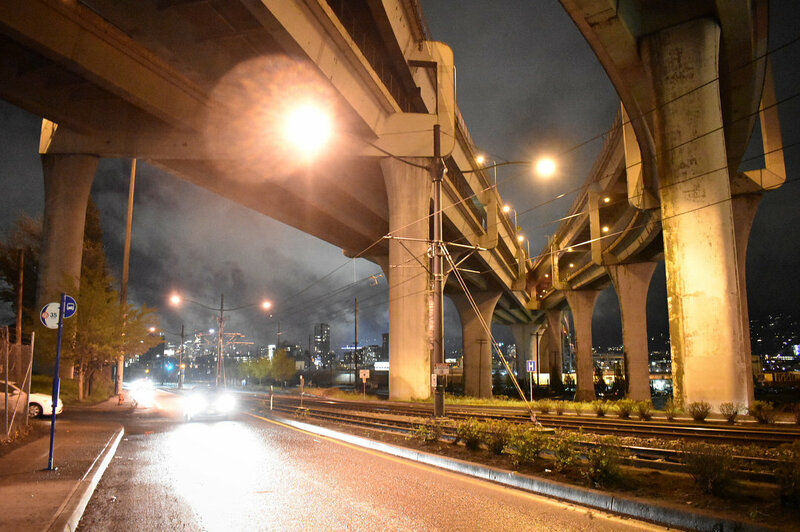 We sent a candidate questionnaire this past April, and found out that five of the seven candidates running for Portland’s two City Council seats opposed the Rose Quarter Freeway. Jo Ann Hardesty is officially the first City Councilor elected on record opposing this project. There were numerous other victories by candidates supporting smarter, multimodal transportation investments across the Portland Metro region and the state. Meanwhile, the legislature’s biggest champion of the Westside Bypass project and loudest opponent of decongestion pricing each lost this November. 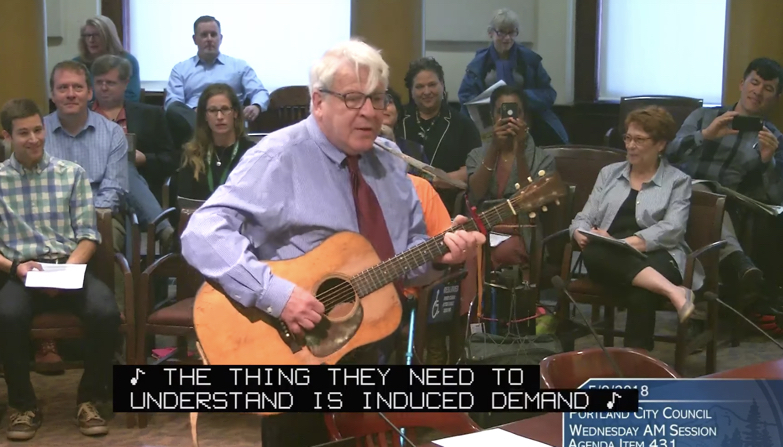 If, somehow, you managed to avoid getting Paul Rippey’s jingle about induced demand stuck in your head last May, well, we dare you to watch again. 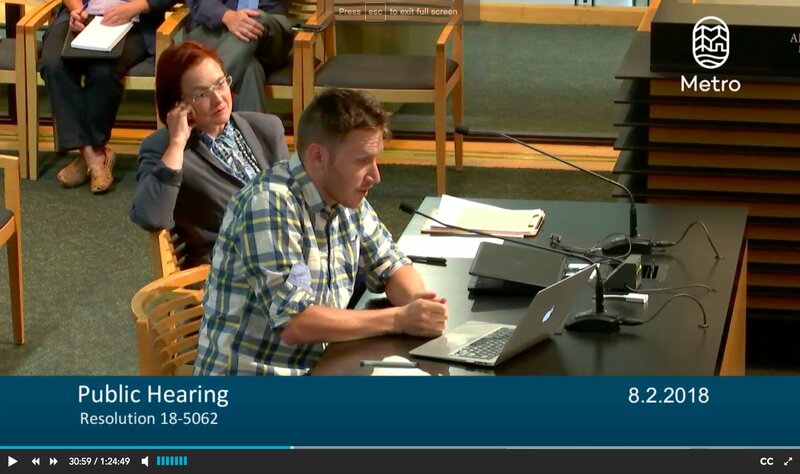 Great to see Rippey’s song get coverage in BikePortland and The Oregonian, and to watch Commissioner Eudaly take a photo of his testimony from the dias. 7: We testified at Metro, JPACT, OTC, Portland City Hall, ODOT Commissions and pretty much anywhere else that has to listen to us. Thanks to our legion of volunteers and engaged community members who took time out of their day (and often missed work!) to show up and speak into a microphone about why ODOT’s proposed freeway expansions across the region are bad for congestion, bad for climate, and bad for public health. We testified at virtually every public hearing remotely related to freeway expansion and decongestion pricing over the past year, and will continue to do so in 2019. A special thanks to PPS Board Member Paul Anthony, who testified to Portland City Council about the impact this project would have on Harriet Tubman Middle School (photo below by BikePortland). 8: We hosted a Pedalpalooza ride! Thanks to all who attended our Portland Freeway Revolt ride, and thanks to Portland State University professors Aaron Golub and Sy Adler for the history lecture! 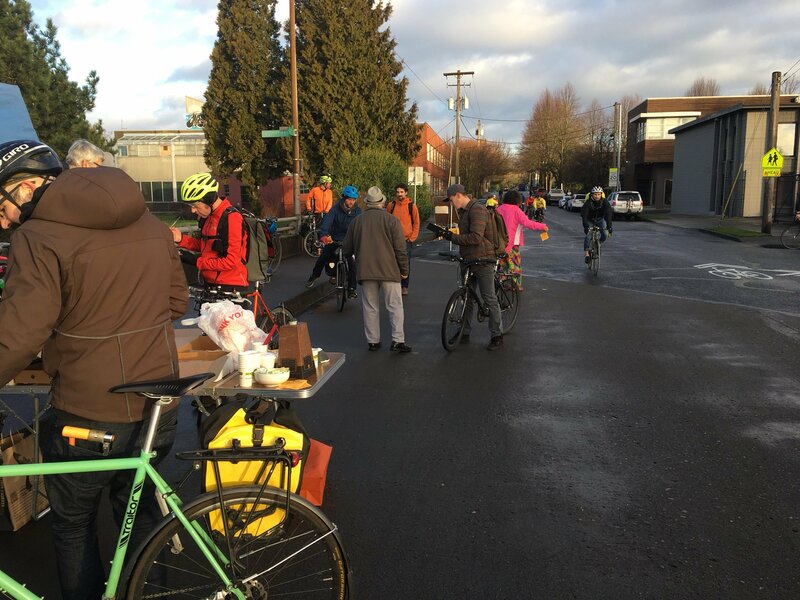 We had over sixty riders join us as we visited Piccolo Park, Tom McCall Waterfront Park, and Harriet Tubman Middle School to talk about Portland’s history of fighting freeways. BikePortland.org was generous enough to publish our two–part series examining why TriMet’s executives and top brass supported freeway expansions which are directly antithetical to their mission of providing excellent transit service throughout the region. This November, we asked for an extension of the public comment period to make sure community groups have enough time to review all of ODOT’s information about the freeway expansion proposal and provide meaningful community response. We still haven’t heard anything, which is pretty discouraging. But even if ODOT refuses to give the community more than roughly eighteen business days to review hundreds of pages of materials and provide testimony, we’ll be ready. 1) Public Comment – In the next few weeks, ODOT will officially open the public comment period for their Environmental Assessment on the Rose Quarter Freeway Expansion project. We’ll be politely reminding you to please submit testimony and get on the record with your concerns about the air quality, congestion, and carbon-related impacts of this project, and also asking you to bug your friends to get them on the record as well. You can help your friends sign up for our mailing list HERE.2) 2020 Transportation Bond – Over the next twelve months, Metro Councilors will be debating the finer policy details of what is expected to be a large, transformative transportation bond for the entire Portland region on the ballot in 2020. We’ll be working closely with newly elected Metro Councilors (and new Metro President Lynn Peterson) to encourage Metro to invest as much as possible into transit and avoiding wasting money on ODOT’s proposed freeway expansions. 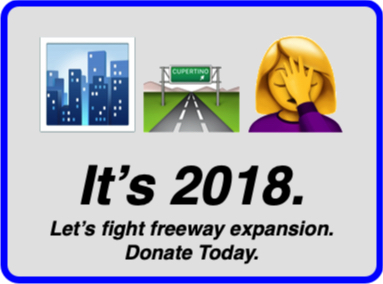 We’ve raised over $8,500 from community members to help us prepare for our freeway revolt shenanigans in 2019. 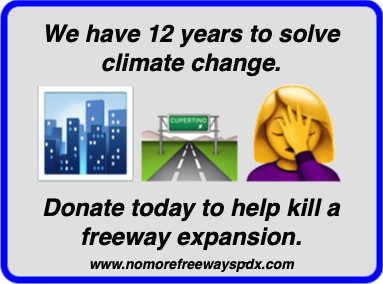 We need another $2,000 to ensure we’ve got enough to pay for all of the anti-freeway buttons and stickers, social media ads, and legal fees necessary to mount a serious challenge in the Environmental Assessment. If you have the means to support us and would like a button mailed to you, please donate? Thanks to our pals at Portland Transport, all donations to the freeway fight are now tax deductible. GET READY TO TAKE ACTION THIS FALL. 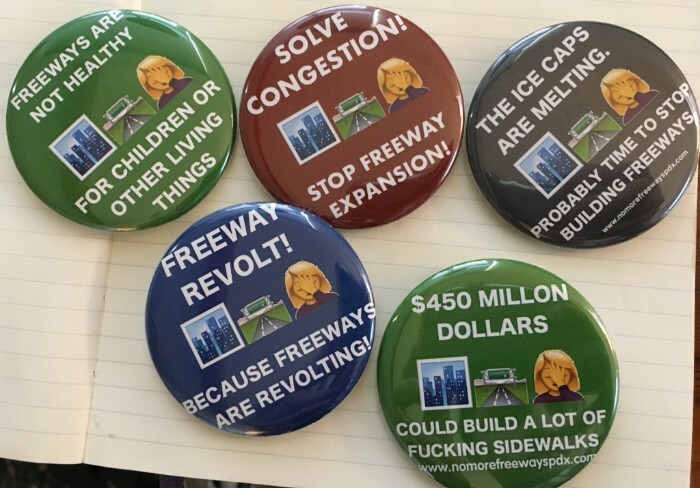 Greetings from the No More Freeway Expansions campaign! We hope this finds you well. We apologize for our radio silence over the past few months – we assure you that we’ve been busy behind the scenes having conversations with elected officials, reaching out to new and existing community partners to solicit further endorsements for our cause, and building grassroots power throughout the Portland Metro region to ask our elected officials to rethink the necessity of spending billions of dollars on freeway expansions that are counterproductive to our goals to reduce traffic congestion, carbon emissions, and air pollution. Planners at ODOT working on the Rose Quarter Freeway Expansion project have told us that the Public Comment period will open sometime in November. This will be a crucial moment for us to demonstrate the breadth and overwhelming support for our campaign to stand up and fight for a future in which we spend money on transit, biking and walking options instead of a freeway expansion next to a middle school. Stay tuned for more information about how you can weigh in and make sure your voice is heard in opposition to this expensive, careless project. We’re gonna need your help. Did you know that there’s an election next week? 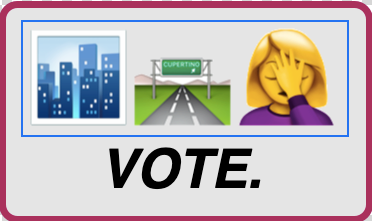 No More Freeway Expansions is not an explicitly political entity (we’re not a legally organized entity of any sort, honestly), and we’re not here to make any endorsements of any candidates. We encourage you to read up on your elected officials and support those that intend to govern as though climate change might destroy human civilization within ten years without immediate action, and those that believe in supporting community-led initiatives for an equitable, sustainable, healthier future. 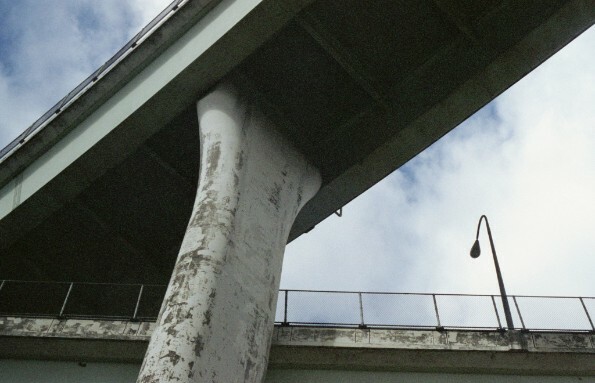 Many of the environmental, public health and social justice organizations who have worked with us closely to support the freeway fight have been working tirelessly to pass the Portland Clean Energy Initiative fund. Learn more about Measure 26-201 at the campaign website. 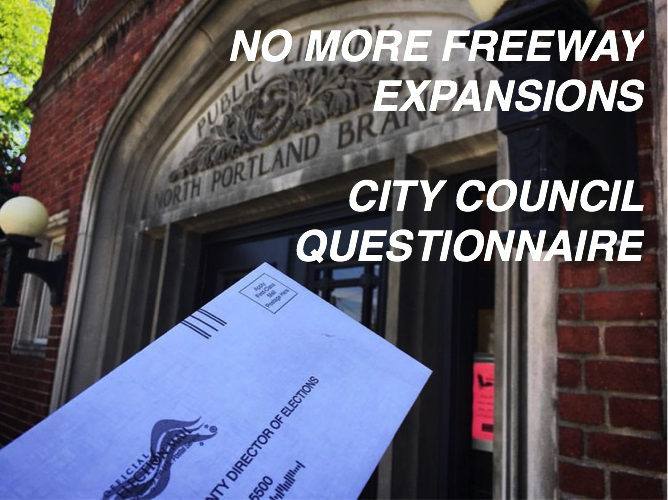 Last May, we sent all of the candidates for Portland’s City Council a Questionnaire about their positions on the freeway expansion and on transportation investments. Hardesty’s opponent, Loretta Smith was the only candidate who didn’t fill out our questionnaire despite numerous attempts on our behalf to reach out to her campaign. On her website, she lists herself as a supporter of the project, and dodged the question during the transportation candidate forum held before the May primary. Out of the six candidates who filed for the open council seat, Smith was the only candidate who supported the project. It’s too late to mail in your ballot. You can drop off your ballot at any Multnomah County Library, or at one of the other numerous local ballot drop sites across the state. BALLOTS ARE DUE BY 8PM ON TUESDAY, NOVEMBER 6th. GO VOTE. 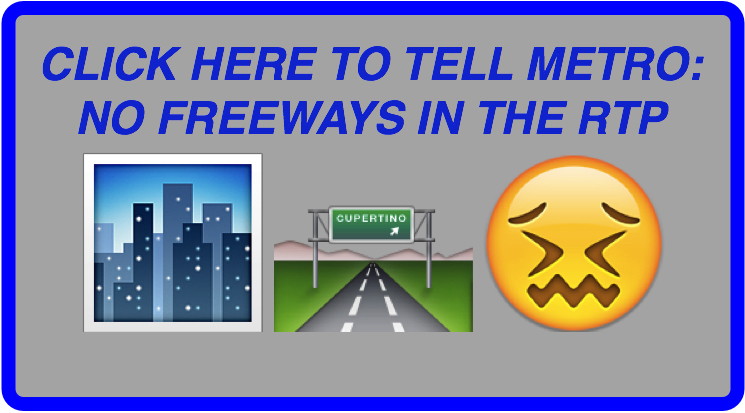 Click HERE to help us gear up for our freeway fight this winter. We have a goal of raising $10,000 in the next month to gear up for our big fight, and we’re hoping for $3,000 to come from grassroots supporters. Can you throw a couple bucks our way? We made a video. You should watch it. 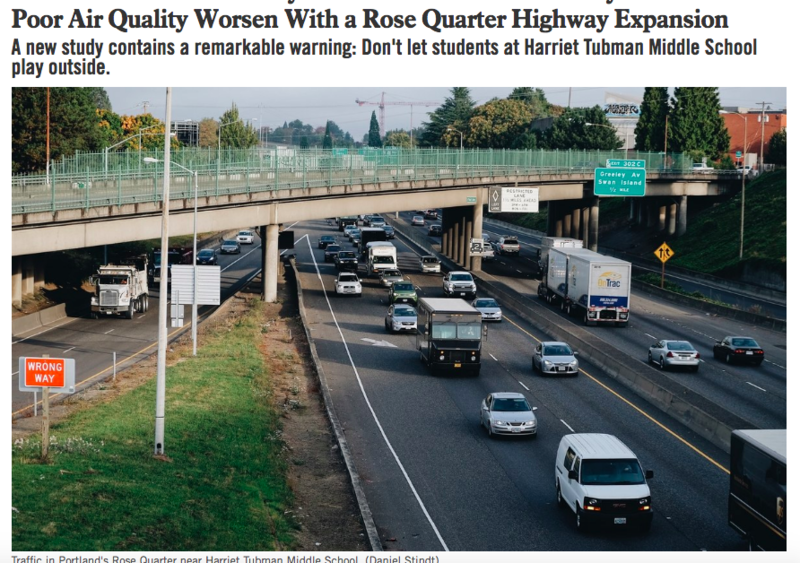 What will ODOT’s Freeway Expansion do to Harriet Tubman Middle School? For the last eleven months (! ), we’ve been shouting to anyone who will listen about ODOT’s plans to expand Interstate 5 into the backyard of Harriet Tubman Middle School. Even without ODOT’s freeway expansion, public health experts are already recommending that students at the soon-to-reopen PPS school forgo outdoor recess due to air pollution. ODOT’s freeway widening project is literally expanding the interstate into Harriet Tubman Middle School’s backyard. To drive the point home, we used ODOT’s own schematics to illustrate how much closer ODOT intends to move the freeway to the school. The video is available on facebook, twitter, and on Vimeo. Please, please, please share this video with your colleagues, fellow parents of Harriet Tubman students, and community organizations. If you’d like for your small business, neighborhood group, PTA, or other entity to hear a presentation about our cause and/or to endorse our campaign, please get in touch. We wish to give a hearty thanks to our pals at Cupola Media for their production of this video and support for our cause. We can’t recommend Cupola enough for any and all video/animation needs! In a little over two years, residents of the Portland Metro region will likely be asked to vote for a transportation package. Metro, Portland’s regional government that convenes representatives from Gresham to Forest Grove, Portland to Oregon City, is the agency responsible for shepherding this package to voters in time for the November 2020 ballot. This transportation package represents a *massive* opportunity to move forward with transportation investments that tackle congestion, provide cleaner air, reduce our carbon emissions, address regional inequality and affordability issues. Every dollar in that 2020 Transportation Package that goes towards freeway widening around the region is a dollar not spent on those outcomes. This week, we have a chance to tell Metro to spend our money wisely. 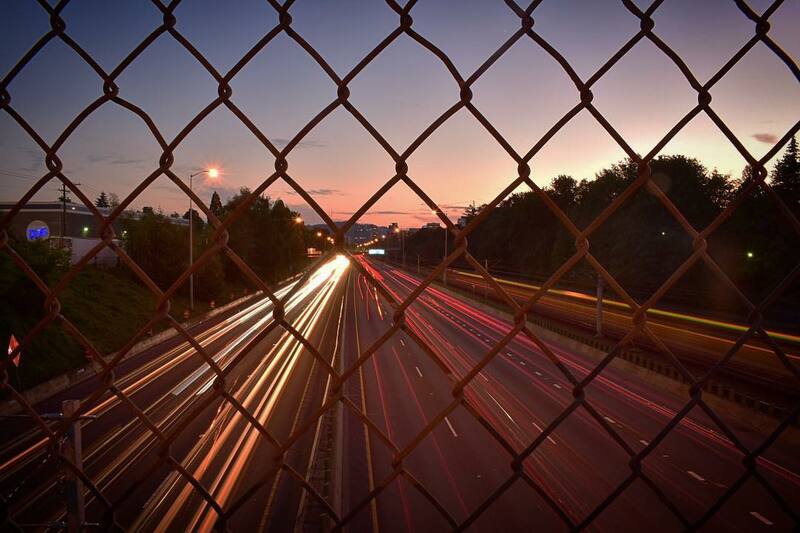 A few weeks ago, representatives from the No More Freeway Expansions coalition testified to the Metro Council regarding the Regional Transportation Plan (Metro News covered it!) asking the Metro Council to consider the benefits of investing our scarce taxpayer dollars in infrastructure that addresses public health, climate change, and congestion (aka, biking, walking and public transportation). Metro’s RTP document is the blueprint that coordinates the region’s transportation investments. Metro is actively seeking feedback on this document, and every comment in support of massive investments in transit instead of freeways will help the Metro Council make the right decision over the next few years. Can you spend 5 minutes telling Metro that freeways have no place in the 2020 Transportation Bond? 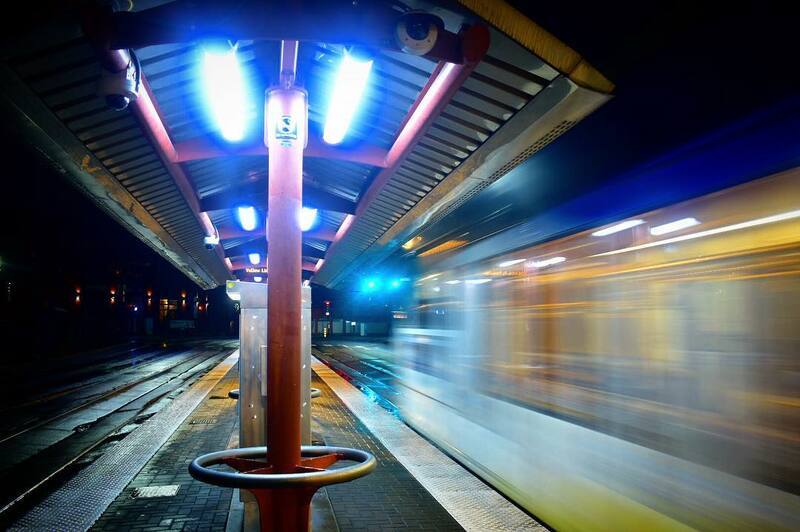 Take Metro’s RTP survey HERE. The survey closes Wednesday, August 15th, so hurry up! Thanks for all your help on our decongestion pricing letter. We received over 285 signatures from community members across the region. The future of decongestion pricing is all over the map (on one hand, regional leaders are pushing to make pricing even more comprehensive; on the other hand, Republicans are threatening a ballot initiative that’d allow the full state to vote on Portland’s local transportation decisions). We got up early a few weeks ago to pay a visit to the Joint Policy Advisory Committee on Transportation (JPACT). BikePortland covered the meeting. 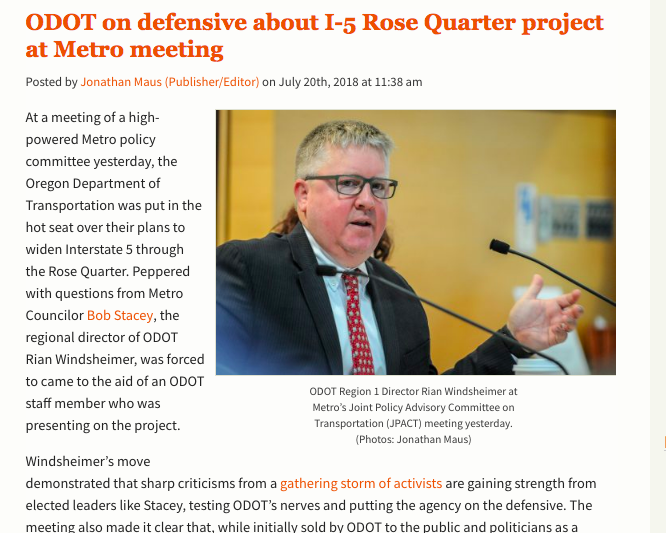 Most notably: ODOT has raised the upper limits of the cost of this project, and now predict the Rose Quarter Freeway Widening Project will cost as much as $500,000,000. What’s an extra $50 million amongst friends and freeway builders? Willamette Week reports that 10 public schools in Portland are within a tenth of a mile of a freeway, “a distance at which children could be substantially affected by the cars and trucks that speed or crawl past.” Yikes! 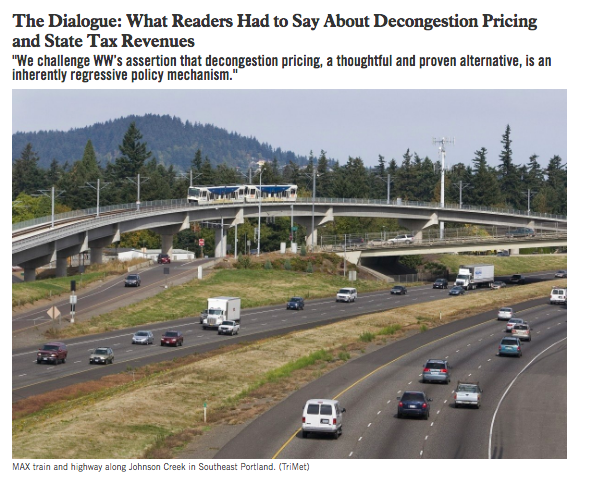 Speaking of Willamette Week, last month the newspaper published a letter to the editor we wrote regarding the potential benefits decongestion pricing can provide to low-income communities, if revenue raised is directed towards transit and not freeway expansion. 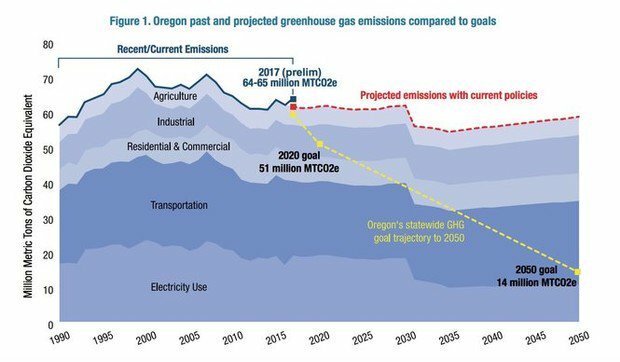 40% of Portland’s carbon emissions are coming from transportation. It’s probably time to stop expanding fossil-fuel infrastructure like freeways. We were on XRAY.fm’s “XRAY in the Morning” (twice!) in the last month. Many of our community partners have been working for the past couple months to bring the Portland Clean Energy Fund to the ballot. We’re proud to work closely with groups like the Audubon Society of Portland, OPAL – Environmental Justice Oregon, Oregon PSR and Neighbors for Clean Air who have brought this measure to Portland’s ballot. We’re not the endorsing sort, but we encourage Portlanders interested in environmental justice to check out this ballot measure this fall. Welcome to our latest endorsing organization in opposition to the freeway: The Oregon Chapter of the Sierra Club! 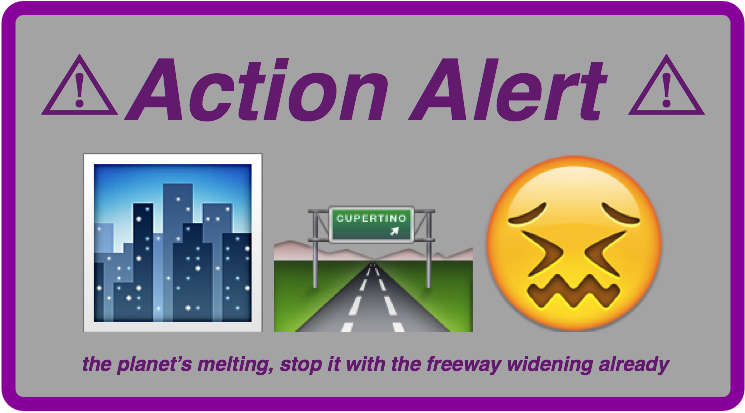 The Sierra Club joins numerous public health, social justice, environmental, and neighborhood advocates in opposition to this $500 million freeway expansion. If you represent a nonprofit organization, own a small business, or have any other sort of entity that you’d like to have officially on the record in opposition to freeway boondoggles, get in touch. That fantastic video at the top of this email needs to be seen by as many people as possible, and cost us a couple bucks to produce. Can you spare $20 to help us cover the social media promotion to get this video in front of as many Portlanders as possible? 3) Want to send your own letter to the OTC? You can do that too, HERE, by July 20. 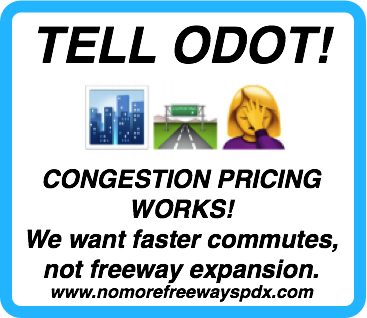 The No More Freeway Expansions campaign has extolled the virtues of decongestion pricing as a viable alternative to freeway expansion to the Oregon Department of Transportation (and their Value Pricing Committee) and to Portland City Council. However, tomorrow (Thursday, July 12), you have an opportunity to speak to a group of influential and powerful lawmakers more powerful than them all: the Oregon Transportation Commission. Without getting into the weeds, the OTC is the big, opaque oversight entity that monitors ODOT and the rest of the state’s transportation investments. It’s a Commission that rarely actively solicits public input, and is typically not directly under the public eye. The OTC is the entity ultimately responsible for crafting the official proposal for decongestion pricing that Oregon will submit to the Federal Government at the end of the year. The OTC has heard from freight lobbyists, suburban sprawl advocates, and the freeway industrial complex – we need them to hear from you. Jonathan at BikePortland has an excellent summary of what’s on the line at this hearing: numerous suburban jurisdictions are eagerly looking at decongestion pricing as a way to raise revenue for freeway expansions. 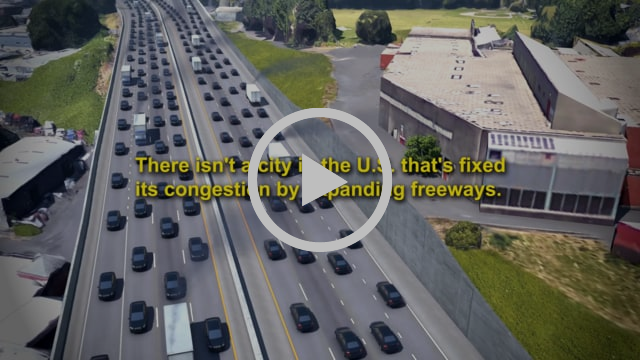 Using decongestion pricing to expand freeways is like using revenue from a carbon tax to build coal plants. The very point of the taxing mechanism of road pricing – using market forces to gently guide individual behavior towards an optimal levels that maximizes public benefit (in this case, eliminating gridlock and encouraging usage of transportation alternatives during peak commute times) – is substantially undermined by the proposals to direct revenue towards expansion of freeways. Freeway expansion is horrifically expensive, deleterious towards our carbon emission reduction goals on a melting planet, counterproductive towards air quality and other public health initiatives, and (most pertinent to the Oregon Transportation Commission) proven to be wholly ineffectual in cost-effectively moving Oregonians reliably and efficiently. You can SIGN OUR LETTER in which we support a thoughtful, robust, forward-thinking decongestion pricing policy that raises $300 million a year for transit investments instead of freeway expansion. Thanks to all who came on our Pedalpalooza Ride! We had a blast! 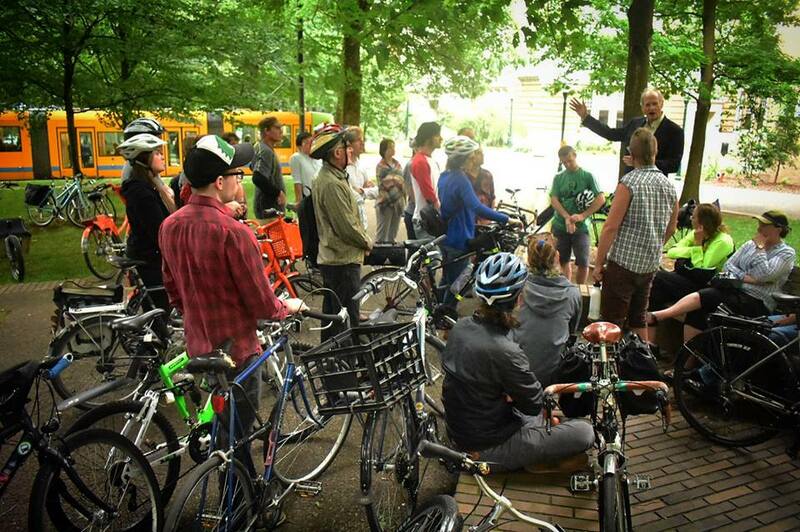 Thanks to the nearly 50 people who showed up for a rainy June ride through Portland’s history of freeway revolts. 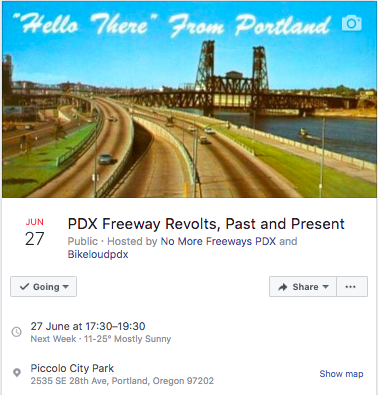 A special thanks in particular to BikeLoudPDX for helping plan the event, to Dr. Aaron Golub and Dr Sy Adler for speaking about Portland’s history of freeway revolts, and to the Audubon Society for their ongoing support. Happy Primary Election, Portlanders! You should have received your ballot by now. (and if you haven’t, you should call the Multnomah County Election office). Incumbent Commissioner Nick Fish is running for reelection against Mr Philip J Wolfe and Ms. Julia DeGraw for Position 2 on Portland’s City Council. Multnomah County Commissioner Loretta Smith, David Douglas School Board Member Andrea Valderrama, Former State Representative JoAnn Hardesty, Mr. Stuart Emmons and Ms. Felicia Williams are running for Position 3, which Commissioner Dan Saltzman is vacating this year. We sent the following eight questions to all of the candidates running for Positions 2 and 3 on Portland’s City Council in the upcoming May Primary. We’ve posted all of the responses we’ve received. Note: We sent repeated emails to the campaigns of Philip Wolfe, Felicia Williams, Commissioner Loretta Smith, and Commissioner Nick Fish and received no response. Philip J Wolfe and Felicia Williams have spoke in opposition to the freeway in previous forums and on social media, including at this month’s Active Transportation Forum (covered extensively at BikePortland.org). Commissioner Loretta Smith has been the loudest, most vocal proponent of the project; her website states that she “states that she “supports moving forward with the Rose Quarter project.” As a current City Council Member, Commissioner Nick Fish has expressed tentative support for the project and has been unwilling to move forward with the requests and policy proposals suggested by the No More Freeway Expansions Coalition to remove this project from the Transportation System Plan Update of the Central City Comprehensive Plan Update.